We love the place... great beach front, beautiful sunrise, trekking trail, wonderful scenery from the top, hidden beach...its like we have the place all to ourselves. it took 4 km of rough and uphill road to get there, but the totally worth it. View, water, shore, soil (for hiking) and sands (for swimming) will blow you away. 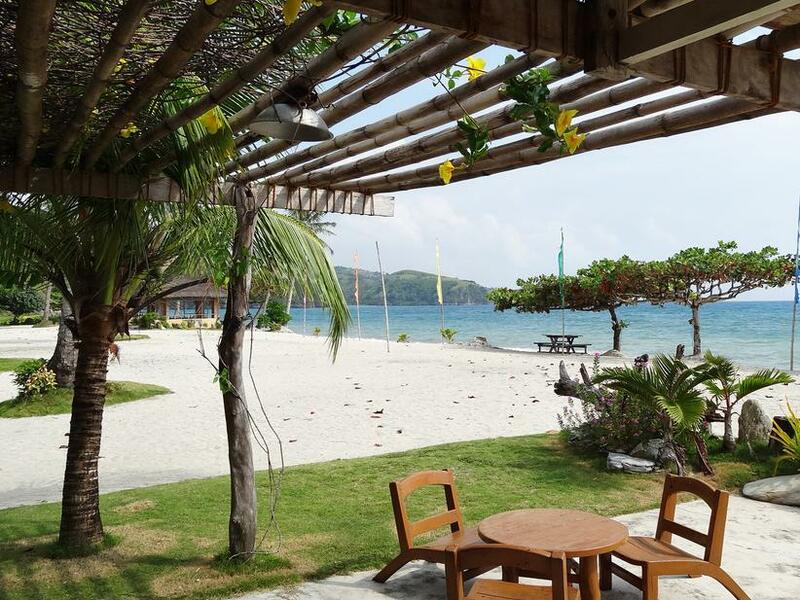 Overall, we really enjoyed our stay at Aglicay Beach Resort - in fact, we extended for 1 day because the peace, tranquility, and beach (great for young kids even though a bit stony) were so awesome. We stayed in spite of the 'resort', not because of it. The resort is acceptable but it's a pity that it doesn't offer a little more - there was no water pressure in our shower so we washed under a trickle of water, the air conditioner was noisy, there is no bar fridge or kettle, no coffee or other provisions, they provided us 2 small bottles of drinking water for a room with 3 double beds and a booking of 6 people, and the restaurant is very basic - we hesitated to extend our stay the last day because of the lack of decent food, but eventually the great natural scenery won us over. The term 'resort' seems a bit of a stretch - they do have a concrete tennis court and a few other facilities, but it's basically not really much more than a 2 star motel. I am sorry to say this but the beach is bad... it is overgrown with the seaweed on one end and infested with sea urchins on the other end. It makes the beach impossible to enjoy. we enjoyed our stay here. they have awesome staff. we never had an issue while staying there. it is far from the city, i guess that is wherever you stay in tablas. the beach was clean and swim-able. best to stay during habagat season because the water is calm according to the staff. it is like boracay during summer where the seaweeds are beached. ill definitely go back here. Aside from the view of the resort, i like most the friendliness of the staff. Its our first time in Romblon and they assist us with our trip. They recommend person that can help us get to Calatrava. we took a beachfront room in the old building. the room was basic (no tv, no coffee pot) but we had a lot of space. even the bathroom was quite big. however the age of the room showed in some details like rusted faucets. the location was excellent, right on the beach (which was great for swimming) and relatively close to the airport. best thing here was the food at the restaurant. fresh seafood, big servings and affordable price. just be sure to order meals by 5pm at the latest (can arrange to have it served as late as 8pm). the staff were helpful. they put us in contact with a driver who toured us around the island. wish they had more daybeds along the beach. they had many picnic tables and chairs, though. My friend and I stayed here from March 18-20 and enjoyed our stay with some minor hiccups. Value for money - we paid around 4k plus for a 2-night stay which included breakfast for 2 mornings. The breakfast were priced 150 but found that a bit expensive for the serving size. Nonethelees, since it was free, it was really not an issue. However, if you would pay the amount, you may find it a bit expensive. Location - this is 4kms away from the highway, not their fault, since it's geography. :) It was a rough ride from the hiway, but I can say it was worth the experience. There was a small hill which you could go up to for a scenic view, which we did. Cleanliness - the room we stayed at was clean, but overall, the resort could be more clean. I understand some reviews about the dirt of the shore, which I think was due to rain, some being washed up and piled up at the side most part of the shore near the hill. Staff - they were fantastic and helpful. It is a beautiful and peaceful resort. It was just the timing of my stay (November) that didn't coincide well with the sea's cleanliness. According to the staff, trash from the other islands are brought into their shores by the waves/winds. They say the beach is cleaner come summer time. BUT, there are a lot of coral rocks/reefs near the shoreline so make sure to wear reef/beach shoes. I would still come back here because it is a great place to just chill and unwind and the food is not bad for its price. They do not pretend to be some high-end resort. It is a family retirement resort after all. 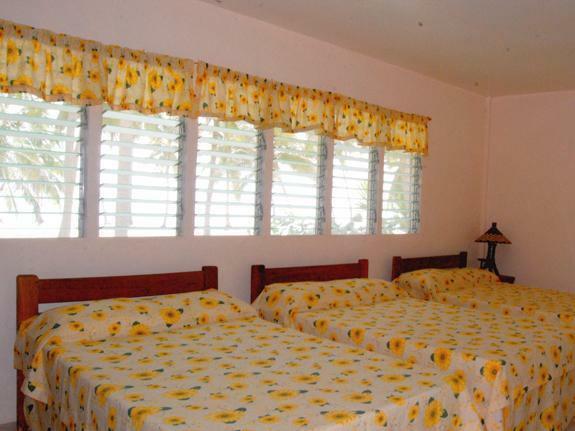 Aglicay Beach Resort is ideal for people who likes a nice and quiet place to relax and chill. Very nice view and the staff are so accomodating. Food is really good too! Ideal for relaxation but the cleanliness of the beach needs to improve. The resto was pricey and not that much of a fan of the food. The hillside room wasn't really clean esp the toilet and the tap water that comes out of it was dirty. If you are looking for some peace and quiet this is the beach for you. However, their room is very dirty. Full of cobwebs, insects and broken furnitures. Bed is not comfy, curtains and toilet tiles, water closet are dirty. Its just plain horrible! Its a struggle, i swear. I have to disinfect everything myself. Their staff are nice though not coordinated with our pick up requests. We almost missed our flight because of them... Again, okay beach with dirty accomodations. Not going back! The resort is about 15 kilometers from the airport. The place is quite remote, hence you get the advantage of lesser guests and you get to enjoy quiet time. Getting to the resort may be a challenge if you dont have planned land travel arrangements. I suggest you request assistance from the hotel staff for them to arrange a vehicle to pick you up at the airport and bring you back. The resort is very clean, the beach is very nice. You also get to explore climbing a hill which gives you a spectacular view of the resort, beach front, and the adjoining areas. 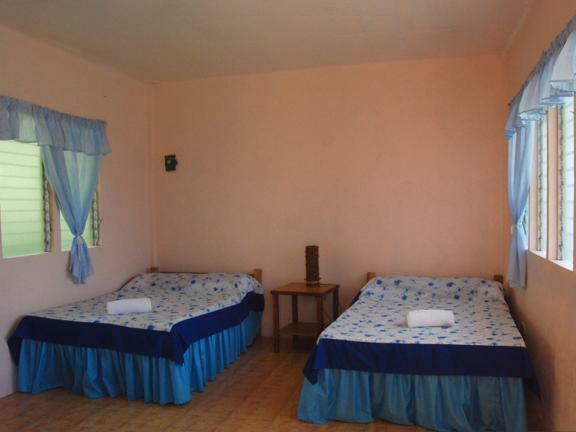 Room rates are relatively cheap, although the rooms are too basic. The hotel staff are warm and hospitable. Food is relatively cheap. Overall, this place is highly recommended. It's far from the main attractions in Romblon but if you're the type who needs to relax from the crowd, i would recommend this place. The beach was really pretty and nice to swim in. When we stayed here, the only place to eat at was closed by 8pm (last order was at 6pm). Make sure to stock up on snacks and drinks early. Try not to book the hillside rooms as they are not that easy to get to. There were a lot of insects in the room and the sheets and blankets were very thin. The bathroom wasn't too comfortable either. But again the beach was nice, the location was great as it was near the airport, and the staff was friendly.